Administrative Law Judge Deidre L. Johnson (ALJ), Office of Administrative Hearings (OAH), State of California, heard this matter in Manteca, California, on September 10, 11, and 12, 2013. Father (Parent) represented Student and Parent (also collectively referred to as Student). Student was not present during the hearing. Attorney Daniel A. Osher represented Manteca Unified School District (District). Roger Goatcher, District’s Senior Director of Student Services and Special Education was present as the District representative during the hearing. District filed a request for a due process hearing (complaint) with OAH on May 21, 2013, naming Student. On August 7, 2013, Parent on behalf of Student filed a complaint naming the District. On August 16, 2013, Student was permitted to file an amended complaint, which restarted all timelines. He thereafter renewed a motion to consolidate the cases, which was granted on August 22, 2013. In the consolidation order, OAH designated Student’s case as the primary case for purposes of the applicable statutory timelines. On August 29, 2013, OAH granted the parties’ joint request to advance the hearing beginning on that date. At the hearing, oral and documentary evidence were received. On September 12, 2013, at the close of the evidentiary hearing, a continuance was granted to permit the parties to file written closing arguments. The record remained open until September 27, 2013, for the submission from each party of a written closing argument, and to October 4, 2013, for the submission of a reply. Student and District timely submitted closing briefs, the record was closed on October 4, 2013, and the matter was submitted for decision. On October 7, 2013, District filed a motion to strike Student’s Objections document as violating the ALJ’s limitations on the reply briefs. Student’s 24-page Objections document contains specific citations to the District’s closing argument filed on September 27, 2013, objecting to and moving to strike words or phrases in District’s argument, and requesting the ALJ to issue rulings on the credibility of witnesses. Most of Student’s Objections document constitutes an improper reply brief filed in addition to his reply brief, is in excess of the five-page reply limit, and will be disregarded. Student’s attempt to circumvent the ALJ’s order by labeling his second reply argument as objections or requests for credibility findings fails. At no time after receipt of District’s closing argument did Student request OAH to extend the page length ordered for his reply based on a showing of good cause. Accordingly, District’s motion is granted as to most of Student’s Objections document, which is stricken from consideration. As to the portion of Student’s Objections document that consists of a motion to strike statements made in District’s closing arguments, the motion is denied. Argument is not evidence and the District was entitled to set forth its legal arguments in full, as was Student. It is the province of the ALJ as the trier of fact to weigh the evidence independently. Indeed, most of Student’s motion to strike consists of counter-arguments disagreeing with the District’s characterization of the evidence. Thus, it also constitutes a further reply in violation of the ALJ’s orders, and will not be considered. 1 For the record, District’s primary closing argument has been marked for identification as Exhibit D21, and its reply has been marked for identification as Exhibit D22. Student’s primary closing argument has been marked as Exhibit S81, and his reply has been marked as Exhibit S82. District’s motion to strike has been marked as Exhibit D23 for identification and Student’s Objections reply has been marked for identification as Exhibit S83. 2 The issues in a due process hearing are limited to those identified in the complaint. (20 U.S.C. § 1415(f)(3)(b); Cal. Ed. Code, § 56502, subd. (i).) The issues here are reorganized and reframed in the interests of clarity and consistency with the applicable law. In the PHC order, Judge Marson dismissed Student’s issue regarding District’s breach of a duty to report to proper authorities alleged sexual misconduct between an employee and Student, because OAH lacked jurisdiction. In addition, Judge Marson dismissed another issue regarding the inappropriateness of placement at Options in Education (Options) as already subsumed in Issue 1 above, because Options was a placement considered by the District on and after February 27, 2013. 3 Based on the evidence at hearing, the ALJ has added “home-hospital” to this issue consistent with the intent of Student’s issue. District’s arguments confirm it also understood that a home-hospital program was within the continuum of placements Student intended in this issue. 4 As noted above, this issue does not include the May 3, 2013, IEP offer, as District already bears the burden of proof on the LRE question in Issue 2. 5 Although both Student’s amended complaint and the PHC Order put the goals issue as his first problem, an analysis of the District’s educational obligations after Student was removed from school must logically precede evaluation of the goals issue. Hence, the goals issue has been moved. 6 As clarified by the District at the outset of the hearing, this issue relates solely to the educational placement offer and does not implicate any other component of the District’s offer. 7 Student’s records show that his Specific Learning Disability was based on deficits in both auditory and visual processing skills and a significant discrepancy between his learning ability scores and his achievement results in all areas except for mathematics. 8 OAH conducted a consolidated due process hearing in October 2011, in connection with two cases filed by Student (bearing OAH Case Numbers 2011060184, and 2011050574), and a case filed by the District (bearing OAH Case Number 2011050289). Official notice is taken of the three prior consolidated cases and the December 2011 Decision rendered by ALJ Michael G. Barth. 9 During the assessment, Parent reported to Dr. Browning that in 2006, he was terminated from his employment, became emotionally distant from Student, and Parent believed he was therefore responsible for Student’s excessive temper tantrums. However, Dr. Browning’s findings suggest broader reasons: “[Student’s] emotional and behavioral needs are not to a ‘marked degree’ [required to find Emotional Disturbance] and may be explained better by learning disabilities, symptoms commonly associated with the diagnosis of ADHD, and/or conduct problems.” Dr. Browning was not qualified to, nor did she purport to medically diagnose Student with a clinical conduct disorder. Although Student’s complaint was filed several months after the District’s case was filed, the Issues in this Decision begin chronologically with Student’s first issue (Issue 1) in February 2013. This is consistent with the OAH Order After Prehearing Conference (PHC Order), issued by ALJ Charles Marson on September 3, 2013. 2 Student’s Issue 1(b) claims that, beginning on February 27, 2013, the District failed to educationally place Student in the least restrictive environment (LRE). The PHC Order then placed Student’s second numbered issue as next in order, regarding whether District’s individualized education (IEP) offer of May 3, 2013, denied him a free appropriate public education (FAPE). However, District had already filed its complaint in May 2013, directly on the same issue, and the District bears the burden of proof on that issue. District’s issue is therefore Issue 2 in this Decision. District’s Issue 2, whether its May 2013 IEP placement offer constituted a FAPE in the LRE, already contains an LRE component. Student’s LRE claim in Issue 1(b), on which he bears the burden of proof, is therefore limited to the timeframe between February 27, 2013, up to, but not including, the IEP offer of May 3, 2013. Based on the foregoing, Student’s second issue identified in the PHC Order (here, Issue 3 for purposes of this Decision) is therefore dismissed as duplicative of Issue 2. This dispute centers on the time period following February 27, 2013, when Parent withdrew Student from Options, a non-public school (NPS) certified by the State of California to teach special education and related services. Student had been attending Options pursuant to an IEP with the District. Student contends Parent needed to remove Student from that school due to child welfare and safety concerns, and that the District consented to Parent’s withdrawal of him. Student claims the District thereafter failed to act swiftly to implement his IEP goals, offer him some type of home schooling program pending approval of a new school, offer him access to his educational services, locate another NPS or private school in the LRE, and/or hold an IEP team meeting. Student claims District’s May 3, 2013 IEP offer for placement at CHS was not an appropriate placement for Student and was not in the LRE for many reasons including failing to offer a continuum of placement options; failing to obtain Parent’s consent to contact CHS; Student’s past exposure to inappropriate sexual conduct while attending CHS; his lack of sufficient academic progress while there, especially in reading; and the District’s decision to remove him from CHS in May 2012. Student requests that OAH issue an order denying the District’s requested relief. Student requests that OAH issue orders for the District to “continue its search efforts in consultation . . .with the Parent,” and that Options and CHS be excluded from consideration as placement options because neither NPS can provide Student a FAPE. District contends it did not consent to Parent’s removal of Student from Options in late February 2013. Rather, District asserts it acknowledged that Parent had the right as Student’s father to remove him from Options, and worked with Parent to locate another educational placement. District claims it thereafter was not able to implement Student’s IEP goals because Student had been removed from the school setting in which those goals had been and were capable of being implemented. In addition, District contends it made multiple efforts through March and April 2013 to investigate appropriate educational placements for Student, including NPSs and private schools requested by Parent. District asserts it attempted to schedule IEP team meetings with Parent. District claims that its IEP offer on May 3, 2013, for Student’s placement at CHS was appropriate and offered a FAPE in the LRE as Student required an NPS such as CHS for his educational setting in order to obtain educational benefit. District requests that OAH issue an order to permit the IEP to be implemented without parental consent. 1. Student is an 11-year old boy who has resided with Parent, his adoptive father, and a sibling within the jurisdictional boundaries of the District since about 2006. He has been and is eligible for special education and related services under the primary eligibility category of a Specific Learning Disability and under the secondary category of a Speech and Language Impairment. 7 School records also reflect Father’s report that Student was born with positive toxicity to cocaine and that he has been medically diagnosed with attention deficit hyperactivity disorder (ADHD), for which he takes medication. 2. A child with a disability has the right to a FAPE under the Individuals with Disabilities Education Improvement Act (IDEA), defined as special education and related services that are available to the pupil at no cost to the parent, meet the state educational standards, and conform to the pupil’s IEP. 3. Pursuant to his IEPs, Student has attended NPSs in the District since kindergarten due to his unique needs related to his disabilities including his need for a small structured learning environment and intensive behavioral supports. The District’s historical records show Student was first placed at CHS in kindergarten due to behavioral problems that prevented him from accessing his education in a general education setting. Student attended CHS through mid-May of his 2011-2012 school year in fourth grade. 5. Dr. Browning attended Student’s March 28, 2012 IEP team meeting at CHS and all of the IEP team members, including Parent, accepted her recommendation. Dr. Browning’s assessment documented Student’s behavioral difficulties, many of which were in the clinically significant range, including aggression, externalizing behaviors, defiance, and other conduct problems, with low or moderately low adaptive behavior skills. The IEP team discussed Student’s strengths and weaknesses and concluded that his placement at an NPS was still appropriate. In addition, the IEP contained a behavior support plan to address his behaviors. However, as found in more detail below, due to Parent’s expressed concerns with CHS, the IEP team agreed to refer Student to four other NPSs located in San Joaquin County for placement, and that he would continue to attend CHS in the interim. 6. Beginning on May 14, 2012, Student began attending the Options NPS in Manteca. As of an IEP team meeting on February 15, 2013, Options teacher Nathan Varosh reported Student’s then-current levels of performance in fifth grade, based on his last academic assessment results, as follows: reading at a first grade level; reading comprehension at a mid-kindergarten level; math calculation between mid-second grade and mid-third grade; math reasoning and written expression at a mid-first grade level; and oral expression and listening comprehension at a mid-kindergarten to mid-first grade level. Student’s deficits also included observed delays in receptive and expressive language and pragmatics. 8. As a result of the IEP team meeting on February 15, 2013, District offered Student a continued educational placement at an NPS along with various components including annual goals, accommodations and modifications, a behavior support plan, speech and language therapy services, and a one-to-one aide at the NPS. Options was not specifically identified as the NPS offered in the IEP. The evidence established that the IEP team, including Parent, agreed that Student had made progress at Options. On February 15, 2013, Parent consented to the IEP in writing and requested another IEP team meeting in May 2013, to further evaluate Student’s progress. 9. Student remained at Options until Parent removed him from school on February 27, 2013, following a behavioral incident. As of the hearing, Student has not returned to school in the District. Beginning in April 2013, District began sending Parent truancy notices regarding Student’s continued absence, informing Parent that Student was subject to prosecution for being truant from school. 10. California has a compulsory educational attendance law which generally requires every pupil between six and 18 years of age to attend public school in the school district in which the residency of the parent or legal guardian is located. That school district usually becomes the local educational agency (LEA) responsible for providing a FAPE to an eligible pupil. There are exemptions or exceptions for qualified programs and circumstances. California’s compulsory education requirements provide that each pupil subject to compulsory education shall attend school full time. Students who violate compulsory education laws by a pattern of unexcused absences for at least three days per school year may be referred to a Student Attendance Review Board (SARB), or may be referred to formal court proceedings to address truancy issues. 11. Student contends that the District, as his LEA, failed to offer him another educational alternative in his home after Parent’s removal of Student from Options, pending the location of an acceptable school setting. District defends that its obligation was to offer a FAPE, and that none of the home educational options were available or met that standard. 12. “Home-hospital” is a home educational placement option on the continuum of educational placement options required by law. It is available to pupils for temporary medical conditions which prevent them from attending school. In order for a pupil eligible for special education to be placed by the IEP team on home-hospital instruction, the pupil must provide a note, signed by a physician stating the diagnosed condition, certifying that the condition prevents the pupil from attending a lesser restrictive placement, and giving a projected date for the pupil’s return to school. 13. There is no evidence that the home-hospital option was available to Student on and after February 27, 2013. Although there was some evidence Student’s behavioral incident may have been related to his lack of medication, Student did not contend he was required to be removed from school due to a medical condition and did not present a doctor’s note to that effect to the District, containing the requisite information for consideration by his IEP team. Nor did he present any such evidence at hearing. Therefore, District did not deny Student a FAPE by failing to offer educational services in a home-hospital program. 14. Independent study is a individualized alternative education program to teach a school’s core curriculum, in which pupils generally work independently at home with periodic supervision from a certificated teacher. However, a special education pupil with an IEP is prohibited by law from participating in this program unless the pupil’s IEP team specifically agrees that it would be appropriate and includes it in the pupil’s IEP. 15. Student claims the District should have offered him an independent study program after Parent removed him from school. However, the evidence showed that Parent, in numerous emails to District personnel from late February through April 2013, requested the District to locate another NPS or private school. In addition, as found in more detail below, District personnel, including Mr. Goatcher, the special education director, and Janis Peters, District’s lead special education program specialist, attempted to obtain Parent’s agreement to hold an IEP team meeting and Parent refused. An IEP team meeting was finally held on May 3, 2013, at which all IEP team members, including Parent, agreed that Student required another NPS placement to provide him with a FAPE. 16. In connection with the May 2013 IEP team meeting, the evidence established that independent study was a not a viable option for Student at that time, although it was not discussed by that label. The team consensus was that Student required an NPS placement. Parent reported to the team that Student was “receiving his education at home and feels he is learning.” Toward the end of the meeting, the District offered Student an educational placement at CHS. Parent declined the offer and requested the District to continue looking for alternative placements in other NPS’s and private schools. Andrea Littlejohn, a senior service coordinator and case manager with Valley Mountain Regional Center (VMRC), and Student’s VMRC advocate at his IEP team meetings, then requested the District to send home “packets of work” for Student while he was still not in a school placement. Mr. Goatcher responded that work packets would not meet Student’s needs and reiterated that the District offered an NPS placement at CHS. Thus, Student was not eligible to participate in an independent home study program because the IEP did not offer it. 17. In addition, an independent study program would not have been appropriate to meet Student’s needs. Based on Student’s assessed needs and prior IEP’s, Student required a small, structured learning environment in which his significant academic delays and negative behaviors could be addressed. He needed assistance to read and to complete every assignment, and had a one-to-one aide for his entire school day. He required supervision to monitor appropriate conduct, including frequent breaks and “frequent rewards to reinforce on task behaviors and appropriate interactions with peers and adults.” The February 2013 IEP stated that while Student had less behavioral incidents, he continued to make rude comments to peers; used profanity; intruded into another person’s “personal space attempting to bully or gain social acceptance;” had trouble accepting consequences for his actions; fixated on staff or peers involved in events in which he became angry or frustrated; and was “beginning to attempt to bully smaller and younger peers.” The IEP noted that Student was attempting to learn to communicate his frustrations and was participating in small group social counseling sessions learning how to use socially acceptable behaviors. 18. Dr. Browning’s testimony was clear and unequivocal that the NPS program at CHS she had observed in early 2012, while assessing Student, was appropriate to address his behavioral needs including those attributed to his ADHD, such as impulsivity and inability to focus or comply. She concluded Student needed to be taught using reward strategies when he is completing assigned work, strategies to respond without arguing, communication strategies to appropriately discuss his feelings, and strategies to handle other classroombased incidents. 19. The testimony of Nathan Varosh, Student’s teacher at Options, persuasively corroborated that Student still needed the above instructional strategies daily in February 2013. Mr. Varosh is the assistant principal at Options, has been in special education for 10 years, has been a classroom teacher there for three years under intern teaching credentials for both mild-moderate and moderate-severe special education, and has one more year to finish his internship. Mr. Varosh has known and taught Student from his entry into Options in May 2012 until his departure in February 2013. He was persuasive that Student requires intensive academic and behavioral interventions on a daily basis and confirmed the behavioral performance levels noted in Student’s February 2013 IEP. Student had a modified reading curriculum supplemented by the Barton reading program for decoding phonics. In both math and reading, Mr. Varosh provided Student a one-to-one tutor “pushed in” to the classroom, Student’s speech and language therapy services were also provided at the school, and Mr. Varosh implemented Student’s annual goals in an integrated fashion throughout the school day. Mr. Varosh was also convincing that most of Student’s frustrations and behaviors are due to his limited abilities to communicate in social situations and that Student would not benefit from an isolated home placement. 20. Ms. Peters was also persuasive in her testimony that Student requires an educational setting in an NPS in order to address his unique needs related to his disabilities and make educational progress. Ms. Peters has been a program specialist with the District for about nine years, has been in special education as a licensed and credentialed speech and language pathologist for over 28 years, and obtained a Master’s degree in communication disorders. She has known Student since his entry into the District in preschool and has attended most of his IEP team meetings. Ms. Peters was credible and thoughtful in noting that Student requires a highly structured learning placement with a one-to-one aide to provide him with supports for modeling appropriate behaviors, transitions, and peer interactions. Ms. Peters was convincing that Student would not do well in an independent study program with only one meeting a week with a teacher because he requires direct daily teaching and oversight. 21. Overall, Parent’s claims at hearing regarding independent study were not borne out by the evidence. For example, Parent claimed that a District administrator, Margaret Barnett, informed him that the District could or would send a teacher into his home to teach Student during the pendency of this dispute. Dr. Barnett is the District’s director of certificated personnel involved with the District’s compliance with the law. She obtained a master’s degree in 1986, and a doctorate degree in 1996, both in education administration, and holds several lifetime state teaching credentials. Dr. Barnett testified credibly that she asked Parent questions to try to find out whether Parent had enrolled Student in another educational program after February 27, 2013. Thus, she and Parent discussed private schooling and independent study options. Dr. Barnett was persuasive that she did not recommend independent study to Parent or inform him the District would agree to send him a teacher. 22. Parent’s testimony on this point, on the other hand, was not credible. Parent loves Student very much, is dedicated to his well-being, and became frustrated after weeks went by without Student receiving an education after his removal from Options. However, Parent demonstrated at hearing that he frequently did not accurately remember or comprehend verbal and written communications. Here, Dr. Barnett’s testimony was more credible than his vague assertions about their conversation. As another example, Parent claimed that Ms. Peters, on behalf of the District, gave him permission to withdraw Student from Options and that his removal was therefore sanctioned by the District. Parent insisted this was a further reason the District had to provide Student educational services outside the IEP process. In contrast, Ms. Peters, consistent with the District’s written correspondence to Parent, was persuasive that she informed Parent that, as any parent, he had a right to remove his son from Options, if he so chose. In addition, she also asked Parent to agree to an IEP team meeting to review placement alternatives and Parent declined. 23. So to, Parent’s claims that Student did well educationally in the home setting, and therefore should have qualified for an independent study program, were not credible or corroborated by any independent evidence. Parent testified he went to a book store, purchased some unidentified books, and provided Student instruction. However, Student did not produce any documentary proof showing his academic studies and testing at hearing. Moreover, there was no testimony from a qualified teacher or tutor to establish Student’s overall academic progress at home. In addition, Student’s IEP also addressed his functional performance including daily social, behavioral and communication lessons integrated with his peer and staff interactions that Parent did not address in describing Student’s home learning environment. Parent is employed and did not describe when during school days he taught his son. There is no evidence how many hours a day or week Parent instructed Student, on what subjects other than multiplication, whether Parent followed any type of educational program directives, who the publishers of the materials were, or whether he or the publishers administered any testing. 24. Based on the foregoing, the District did not deny Student a FAPE by failing to provide Student an independent study program at any time after February 27, 2013, because no IEP team offered such a program for Student and it was not a service provided for in his IEP. At the February and May 2013 IEP team meetings, all team members, including Parent, agreed Student still required an NPS placement. In addition, the District did not deny Student a FAPE by failing to offer him an independent study program because Student did not sustain his burden to show that such a program would have provided an appropriate learning setting. Accordingly, District did not deny Student a FAPE on this basis. 25. Home schooling is a type of private school exemption from the compulsory education law for parents or guardians who obtain permission from the State to act as a private school. The parent is required to file a private school affidavit with the California Superintendent of Public Instruction, keep records, and teach a minimum of three hours per day for 175 days a year. 26. Student did not meet his burden of proof on this issue. He did not produce any evidence to the District or at hearing that Parent filed the requisite affidavit with the State and qualified as an exempt private home school. There is no evidence he asked the District to assist him to process any application for home schooling and the only request was for homework packets that came from Ms. Littlejohn of VMRC at the May 2013 IEP. If Parent had established a home schooling program, Student would have become a private school pupil not entitled to an IEP for special education and services. As a private school pupil, he would only have been entitled to a pro rata share of those special education instructional and related services provided to the private schools in an equitable services plan by the District. Neither party presented any evidence as to the nature or scope of those services. Here, the overwhelming evidence demonstrated that Parent consistently requested the District to locate another NPS or private school for Student, not a home school. Student did not establish that the District denied him a FAPE on this basis as a home schooling program is not a placement on the continuum required by law but a parental choice. 27. Federal and California laws require school districts to provide a program in the LRE to each special education pupil. A special education pupil must be educated with nondisabled peers to the maximum extent appropriate and may be removed from the regular education environment only when the use of supplementary aids and services cannot be achieved satisfactorily. There is a four–part test to evaluate whether a removal is appropriate, involving the educational benefits of full-time placement in a regular classroom, the non-academic benefits of placement in a regular classroom, the effect the presence of the child with a disability has on the teacher and children in a regular classroom; and the cost of placing the child with a disability in a regular classroom. None of these factors is involved in this case. Here, Student has been removed from the general education environment since kindergarten and Parent does not contend that Student needs to be placed on a comprehensive district public school campus with access to typically developing general education pupils. Therefore, this primary aspect of the LRE laws is not applicable in this proceeding. 28. If it is determined that a pupil cannot be educated in a general education environment, then the LRE analysis requires determining whether the pupil has been mainstreamed and exposed to typically developing peers to the maximum extent that is appropriate in light of the continuum of program options. 10 Parent’s contention that Options was “too restrictive” because Options had locks on the doors of the educational facility was not supported by the evidence. Both Options and CHS have locks on the doors to their facilities, and the locks are open during school hours, except for specified areas. 30. While Parent claimed during the hearing that District committed “LRE” violations, he did not establish either his understanding or the elements of the issue. Rather, it is clear from the evidence that the heart of Student’s issue is that the District’s placement offers denied him a FAPE after February 27, 2013. Student’s FAPE claims are analyzed below. 31. A child with a disability has the right to a FAPE under the Individuals with Disabilities Education Improvement Act (IDEA), defined as special education and related services that are available to the pupil at no cost to the parent, meet the state educational standards, and conform to the pupil’s IEP. For a school district’s IEP to offer a substantive FAPE, the proposed program must be specially designed to address the pupil’s unique needs and be reasonably calculated to provide some educational benefit. IEP offers are to be evaluated in light of the information available at the time the offers were made, and are not to be judged in hindsight. 32. Student contends that the District denied him a FAPE after February 27, 2013, by failing to offer or provide him “access” to specialized instruction and related services. In particular, he argues that the District delayed holding an IEP team meeting required by law to determine a new placement until May 2013. District contends that at all times it had an appropriate IEP in place for Student to receive his education at Options or another NPS pursuant to the February 15, 2013, IEP to which Parent consented. District asserts that following Student’s removal from Options, the District was not obligated to defer to Parent’s unilateral choices or provide Student instruction and related services in his home, and worked with Parent to find a new placement and hold an IEP team meeting. 33. As found above, Student’s February 15, 2013, IEP affirmed his continued placement at Options and Parent consented to the IEP. The evidence established that Parent had become dissatisfied with Options in June 2012, shortly after he consented to move Student from CHS to Options in May. During the summer and fall of that year, District and Options worked with Parent to address his concerns. In particular, Ms. Peters was concerned that Student needed time to transition into Options and Parent agreed. Parent testified credibly that Student experienced many behavioral incidents at school such as bullying, being spit on, and fighting. Parent saw Student one day in December 2012, being “taunted and teased” by other pupils on the school van. As of January 8, 2013, Parent informed the District that Options continually failed to provide Parent with Student’s homework or progress reports, and that Parent intended to remove Student from Options if his questions were not answered at the February 2013 IEP team meeting. During various conversations in this time period, Ms. Peters and Parent discussed what his choices were, including his right to remove his son from school. On January 14, 2013, Parent notified Ms. Peters by email that “my mind is made up. [Student] will be removed from Options.” Parent asked Ms. Peters to check on availability at another NPS. 34. During the IEP team meeting on February 15, 2013, Parent raised concerns and expressed frustration that Student was not making very much progress in his reading, wanted the school to email him Student’s homework, and wanted to receive Student’s daily behavior reports (DBR’s) by email if Student did not give them to Parent for his signature and return to school. Mr. Varosh, Student’s teacher, informed Parent that Options had been emailing the homework to him as requested for the past three weeks. Student’s BSP required the District and Options to measure his progress on the BSP and his behavior goals with the DBR’s. Student was responsible to deliver the DBR’s to Parent but often did not do so. The IEP team worked out an agreement with Parent during the meeting for delivery of the DBR’s and reward incentives for Student. Parent complained that Options staff contributed to his son’s frustrations and behaviors at school when they did not take better care of Student’s incidents with peers. By the end of the meeting, Parent signed his consent to the IEP, along with a request to set another IEP in May 2013 to review Student’s progress. 35. On February 27, 2013, Parent received an incident report from Options regarding another behavioral incident with Student, in which staff found Student had hit a peer. Parent interviewed his son, took exception to the report, and removed Student from Options. That Ms. Peters, District’s case manager for Student’s IEP, informed Parent of his choices does not amount to a District endorsement that Options denied Student a FAPE or that District consented to Student’s educational placement in his home. District witnesses credibly established that the District’s agreement to look for alternative NPS placements for Student was done in the spirit of cooperation and concern for Student’s continued receipt of educational instruction and services. 36. Had Student returned to Options after February 27, 2013, the evidence established that the February 15, 2013 IEP was reasonably calculated to offer and provide Student a FAPE. His IEP provided: (1) annual goals addressing Student’s unique needs related to his disabilities in the areas of academics, behavior, and communication; (2) 1806 minutes per week of specialized academic instruction at an NPS; (3) 40 sessions of “pushin/pull out” speech and language therapy a year, at 25 minutes per session; (4) 1806 minutes per week of one-to-one aide services at the NPS; (5) a BSP to address Student’s inappropriate expressions of anger; (6) extended school year instruction and services for the summer of 2013; (7) curb-to-curb transportation; (8) use of assistive technology in the form of a calculator, computer, and spell checker, if permitted by the teacher; and (9) curricular and testing accommodations and modifications. 37. As implemented, Student’s IEP services at Options included the Barton reading program as a supplement to the school’s core reading curriculum and speech and language therapy sessions to include participation in a small social group several times a week. In addition to Student’s one-to-one aide, Mr. Varosh’s class included a behavior assistant and an instructional aide for all four pupils in the class, yielding a low pupil/adult ratio. In addition, there were push-in math and reading tutors. Mr. Varosh’s class was highly structured and driven by routines with behavioral and communication strategies integrated throughout the day, and the taking of daily behavioral data to track progress. Mr. Varosh and his staff taught Student to use functionally equivalent replacement behaviors. 38. At the February 2013 IEP team meeting, Mr. Varosh presented the IEP team with charts summarizing Student’s data and verifying the progress he had made. Academically, Student had made meaningful progress since his departure from CHS. For example, in broad reading, Student had scored at a kindergarten level of .08, and by February 2013, he scored at a 1.6 grade level; for math fluency, he went from a 2.2 grade level to a 4th grade level; and in academic fluency, he went from a .08 kindergarten level to a 2.2 grade level. Behaviorally, Mr. Varosh was persuasive that Student’s overall negative behaviors had decreased in frequency and were less intrusive than they had been initially. When asked if he had seen Student be bullied by anyone, Mr. Varosh candidly said yes, but also noted that Student himself engaged in bullying, as noted in his BSP, and the teacher and his staff dealt with bullying promptly as it was not tolerated. 39. Student did not establish that the problems he and Parent experienced with Options, such as not consistently emailing Parent homework, not ensuring Student delivered his DBR’s for parent’s daily signature, and various other matters Parent testified about at hearing, were sufficiently serious to find that the IEP failed to provide Student a FAPE. For example, Student complained that an aide called him “stupid;” Parent chose to believe Student; but Mr. Varosh investigated and found it not to be true. Parent learned at the February 2013 IEP meeting that Student had missed school for two days in November 2012, and blamed the school for “losing” his son. However, no evidence supported Parent’s claim and Mr. Varosh was confident, based on school records and processes, Student did not board the school van on those days. Mr. Varosh was convincing that he worked with Parent collaboratively over many months to find ways to deal with Student’s missing homework. Parent wrote in an email to the District dated March 5, 2013, that he acknowledged Student “made great progress at Options on the education side . . . .” However, at hearing Parent claimed his statements of praise for Mr. Varosh and Options in this email were not true. Overall, Student’s progress as of the time of the February 2013 IEP team meeting further supports the finding that District’s offer to continue to place Student at the NPS did not deny him a FAPE. Mr. Varosh established that there was an opening in Student’s class at Options available for his return through most of April 2013. 40. Student contends that District denied him access to his education by failing to timely search for and find an alternative placement. The evidence established that after February 27, 2013, District timely investigated NPSs and private schools at Parent’s request and processed Student’s application to various schools while at the same time asking Parent to return Student to Options or schedule an IEP team meeting. 11 In addition, since the IEP offered Student’s placement at an unidentified NPS, Student’s transfer to another NPS school location did not necessarily require a new IEP unless the specialized instruction and related services were not comparable to those in Student’s IEP. 42. In addition, the evidence showed that the District asked Parent several times for an IEP team meeting to discuss placement options. Following many verbal requests, on March 13, 2013, Ms. Peters sent Parent a written notice for an IEP team meeting. Parent refused to attend that IEP team meeting, which was never held. On April 3, 2013, Mr. Goatcher sent Parent another notice for an IEP team meeting to be held on April 19, 2013. Ultimately, Ms. Littlejohn was not available on that date and the meeting was finally held on May 3, 2013. On April 12, 2013, Parent further hamstrung the District’s efforts by revoking any consent he had given to make placement inquiries for Student, and prohibiting the District from discussing Student’s placement with any school, including CHS, without his consent. 43. Finally, District cooperated with Parent to send Student’s application package to a variety of possible placements prior to Parent’s revocation of consent. For example, Parent unilaterally chose to send Student to Stockton Educational Center, another NPS, and District agreed to work with Parent to arrange a transfer at the end of February 2013. However, within days, Parent and the center had a disagreement about Student’s transportation, as a result of which Stockton Education Center was no longer available as an NPS placement and Student was never transferred. 44. In March 2013, District sent Student’s application packages to many more NPS’s and private schools at Parent’s request with negative results. North Valley School, an NPS in Lodi, did not have an opening, and South San Joaquin Education Center, another NPS in Manteca, turned down Student’s application. Mr. Goatcher found that Cornerstone Christian School, Manteca Adventist Christian School, and St. Anthony of Padua are all private religious schools with which the District is prohibited by law from contracting. Another private school, Vitae Preparatory Academy, is a private school that does not offer special education and related services to its pupils. None of the private schools selected by Parent is certified by the State of California as an NPS entitled to provide special education and related services. Ms. Peters explored other possibilities in the surrounding area, including Sacramento and Elk Grove, but Parent refused to consider those locations. 45. On April 3, 2013, concerned by the impasse with Parent regarding Student’s placement, District offered Student an interim or temporary placement at CHS, pending an IEP team meeting scheduled to be held on April 19, 2013. Mr. Goatcher explained in his letter to Parent that he would be willing to facilitate a meeting between Parent and the director of CHS, Mike Dutra. As found below, District’s May 2013 offer for placement at CHS constituted a FAPE, and there is no evidence to suggest that the offer for a temporary placement at CHS, pending the IEP team meeting, was also not reasonably calculated to offer Student a FAPE. Thus, beginning on April 3, 2013, District offered Student access to his education through an interim placement at CHS but Parent declined this offer. 46. Finally, the evidence does not support a claim that District should have sent Student’s IEP instruction and related services into his home in order for Student to access those services for the reasons found separately above. In the circumstances, Parent’s lack of cooperation and unilateral demands obstructed the District’s ability to appropriately place Student or hold an IEP team meeting before May 2013, and those delays cannot support a finding that the District denied Student a FAPE. Therefore, Student did not meet his burden to show that the District denied him access to special education and related services. 47. A failure to implement a provision of the IEP may amount to a FAPE violation only where the failure has been determined to be material. A material deviation from an IEP occurs when the program or services provided to the pupil fall significantly short of those required by his or her IEP, and does not require a showing of educational harm. 48. Student contends that District denied him a FAPE after February 27, 2013, because the District failed to implement his annual goals and short term objectives or benchmarks. District defends that because Parent unilaterally removed Student from school on that date, it was not obligated to implement the goals nor was there an educational placement within which to implement them. 49. At the February 15, 2013 IEP team meeting, District offered Student annual goals which used February 15, 2014, as the annual target date for ascertaining Student’s progress toward the goals, along with four interim objective or benchmark dates to measure incremental progress. Parent consented to the goals which addressed Student’s behaviors, math, reading, writing, receptive and expressive language, and pragmatics skills. 50. Most of Student’s annual goals presupposed his placement in a school environment with peers and teachers in order to be effectively implemented. For example, his first goal, on page 16 of the 42-page IEP, was a behavioral goal, derived from his behavioral support plan, to “utilize time away to consult an alternative choice list and redirect using appropriate protest behavior protesting non-preferred task or negative peer interaction . . . in 4 out of 5 situations during the school day with 80% accuracy. . . .” Student’s baseline performance level related to this goal was: “[Student] will become frustrated or involved in a socially inappropriate setting 2 – 5 times daily, i.e. profanity and posturing on peers . . . .” Thus, if Student was not in a school setting interacting with peers, and supervised by the staff responsible to monitor his behaviors and social responses, the goal could not be effectively implemented. 51. Some of the academic goals for reading, math, and language could only have been implemented to a limited extent in an isolated home schooling environment. For example, the IEP’s second goal, on page 18, was to compute correct answers on a mathematics test or trial with 80 percent accuracy “in 4 out of 5 trials as measured by teacher-made tests.” The goal could be monitored in a home or alternative setting but not on a regular basis in the absence of a supervisor and monitoring teacher or staff person. As found above, independent study only required a teacher to meet with the pupil once a week, and a home schooling program would remove the District’s oversight of any special education goals to a private funding model. As another example, District’s fifth goal, on page 21, was a behavioral goal to stand in line at recess and lunch and carry on appropriate conversations with his peers “(without rude talk, name calling or profanity) with 1 or less prompts in 4 out of 5 incidents.” This goal contemplated a school setting with peer interactions. 52. Overall, Student did not sustain his burden of proof to establish that the District was required to provide special education or related services in his home for the reasons found previously. Because the annual goals were part of Student’s IEP placement and services, Student’s removal from Options and failure to return to a school setting constituted intervening circumstances that relieved the District from the obligation to implement goals outside of the education setting for which they were designed. Therefore, District did not deny Student a FAPE on this basis. 53. To determine whether a school district has offered a FAPE, the IEP must meet both the procedural and substantive requirements of the law. Not every procedural violation is sufficient to support a finding that a pupil was denied a FAPE. To constitute a denial of FAPE, the procedural inadequacy must have (a) impeded the child’s right to a FAPE, (b) significantly impeded the parent’s opportunity to participate in the decision making process regarding the provision of FAPE, or (c) caused a deprivation of educational benefits. 54. District contends that its offer of an educational placement for Student at CHS, made at the IEP team meeting on May 3, 2013, substantively constituted a FAPE in the LRE because the placement was reasonably calculated to meet Student’s needs related to his disabilities in the areas of academics, behavior, and communication. 55. Student contends that the IEP offer was flawed for a variety of reasons and that CHS is not an appropriate placement in the LRE. Student argues that the offer for placement at CHS was only for an interim placement; the District failed to present a continuum of options at the IEP team meeting; District did not obtain Parent’s consent to communicate with CHS; CHS is not capable of implementing Student’s goals, especially in reading; the March 2012 IEP team found that CHS was not an appropriate placement for Student; and, finally, that CHS is an unsafe school because its staff engaged in inappropriate sexual conduct with Student in the past. Student’s procedural claims will be evaluated first. 56. The May 2013 IEP team meeting was attended by Parent, Ms. Littlejohn from VMRC, Mr. Goatcher as the District administrator, Ms. Peters as Student’s case manager, a special education teacher, and a speech and language specialist. No one from CHS attended the meeting in person or by telephone. The IEP team listened to Parent’s explanations of his concerns. The District made its offer to place Student at CHS, along with specified annual goals from his February 2013 IEP and other supports and services from that IEP, including a one-to-one aide and speech and language therapy. Only the placement offer is at issue here. 57. Student contends that the District was required to consider a continuum of placement options at the May 2013 IEP team and its failure to do so significantly impeded Parent’s opportunity to participate in the meeting and the decision-making and denied him a FAPE. 58. The special education local planning area (SELPA) for each public school district is required to have a continuum of program options available for a child. The continuum of program options includes, but is not limited to: regular education; resource specialist programs; designated instruction and services; special classes; nonpublic, nonsectarian schools; state special schools; specially designed instruction in settings other than classrooms; itinerant instruction in settings other than classrooms; and instruction using telecommunication instruction in the home or instructions in hospitals or institutions. 59. During the May 2013 IEP team meeting, the team discussed a variety of placement choices and ruled out most of them. All members of the team, including Parent, agreed that Student was not ready for placement in a district public school in either a general education or special day class. The members, including Ms. Littlejohn, agreed that an NPS placement was appropriate in light of Student’s needs. Parent also asked the District to consider other private schools. However, Mr. Goatcher credibly established, and reported to the team, that he had looked into the other private and charter schools proposed by Parent and they were not available as choices. Mr. Goatcher had found that CHS had an opening and was willing to accept Student. 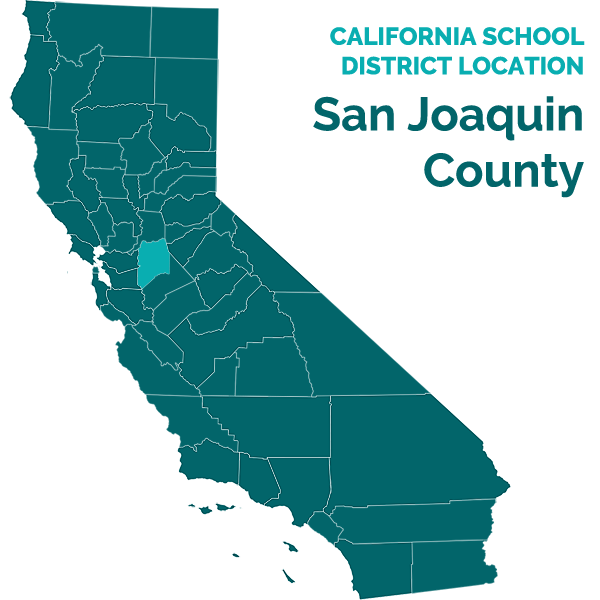 12 Student’s request for the ALJ to search a website to see all available schools in San Joaquin County is declined. It was incumbent on Parent to present evidence of other available schools to the extent known at hearing and he did not do so. Moreover, this issue is not about parental preference but about the District’s legal duty to make a FAPE offer. 61. The duration of a special education placement offer generally depends on what is appropriate to provide a FAPE to the pupil involved. A school district’s educational placement offer is considered temporary if it is specified for a limited duration. In contrast, the law requires IEP’s to be held at least annually, and annual IEP offers are generally offers of “permanent” services for the duration of the year. 62. In the present case, Student’s annual IEP had been in March of each year. For example, the March 28, 2012 IEP was an annual IEP and offered services to March 28, 2013. However, in late January or early February 2013, Ms. Peters arranged to advance Student’s annual IEP to February 15, 2013, at Parent’s request. As found above, Parent consented to the February 2013 IEP. Its services were effective until February 15, 2014, or until the District superseded that IEP with a subsequent offer. 63. Student’s argument that the May 3, 2013 IEP offer was only an interim or temporary offer, and therefore cannot serve as the basis for a valid placement, is not supported by the law or the evidence. Mr. Goatcher’s letter on April 3, 2013, offered CHS as an interim placement pending a conference between him, Parent, and the director of CHS; and pending an IEP team meeting to discuss a permanent placement. The law does not prohibit a school district from offering a temporary placement if appropriate, provided an IEP team meeting is timely held to evaluate the placement and extend, modify or supersede it. Parent declined that offer of any interim placement and Student remained out of school for the entire month of April prior to the IEP team meeting. 64. At the May 2013 IEP team meeting, the IEP team discussed the available alternatives for placing Student back in school. At that time, as indicated by the IEP offer itself, District offered CHS as Student’s annual educational placement, to supersede his February 2013 IEP placement, until his next annual IEP team meeting to be held by February 15, 2014. The District’s offer is therefore not procedurally flawed on this basis. 67. In an email dated April 12, 2013, Parent revoked his consent for the District to share any information about his son with any other school without his permission. However, Mr. Goatcher was persuasive and credible in testifying that he had already conferred with CHS prior to making the District’s offer for an interim placement there on April 3, 2013. There is no evidence to the contrary. Therefore, the District did not violate Student’s procedural rights when it referred an application package to CHS prior to or on April 3, 2013, and obtained CHS’s agreement to accept Student back in its school. 68. The evidence established that District honored Student’s revocation of consent to exchange further information with CHS at the May 3, 2013 IEP team meeting, where confidential information about his performance levels, needs, and potential placements was discussed, because no one from CHS was invited to the meeting. 69. Student did not sustain his burden of proof to establish that the District committed a procedural violation by disclosing his educational information to CHS during the time Parent had consented to District’s search for an NPS placement. CHS was not an excluded entity in any of Parent’s communications. Even if there was a procedural violation, it was harmless error because Student did not establish that the disclosure impeded his right to a FAPE or that Parent’s right to participate in the decision-making process was impeded as CHS accepted Student’s application, the placement was fully discussed at the May 2013 IEP team meeting, and Parent retained the right to refuse the placement. 70. Student contends that the District’s offer of placement at CHS is procedurally and/or substantively invalid because CHS would not provide a safe environment for Student. This argument is based on several prior incidents when Student was placed at CHS that allegedly involved what Parent describes as “inappropriate sexual conduct’ between CHS personnel and Student. There is no doubt Parent loves Student and seeks to protect him. In addition, there is no doubt that there are occasionally sexual predators who find employment within the public schools and safeguards must be vigilantly enforced. In this case, however, aside from Parent’s testimony, there is no independent evidence to corroborate his claims. In the absence of other evidence, Parent’s beliefs and opinions are based on speculation and do not support a finding that CHS is an unsafe school. 71. First, Parent claims that in early 2010, when Student was in third grade, a female aide sexually abused Student. Anne Romena was Student’s CHS teacher at the time. Ms. Romena obtained a master’s degree in elementary education in 2005 and holds two teaching credentials, one in multiple subjects and one in mild-moderate special education. She has been a special education teacher at CHS for eight years, has been with CHS for ten years, and taught Student from about January 2010 until Parent removed Student from CHS in May 2012. Ms. Romena credibly established that an older, female pupil, not an aide employed by the District, volunteered to assist in her classroom and Student quickly became fixated on her. Ms. Romena noticed that Student was distracted by the girl, discussed the problem with her staff, and promptly prohibited the girl from returning to the class. When Ms. Romena informed Student that the volunteer would not return, he had a temper tantrum that included throwing his desk, screaming and swearing, and resulted in Parent being called to school. Ms. Romena was persuasive that the volunteer was only in her class a few times, and that she had no reason to suspect the volunteer had access to Student outside of her classroom. 72. Parent’s claim that the girl must have taken Student into a locked office room next to the classroom and sexually abused him is speculative. Parent claims he found evidence to corroborate his suspicions when he found Student had hidden letters from him to the girl in his backpack and later found Student had hidden drawings of female genitalia in his bedroom. However, Mr. Goatcher was persuasive in his testimony that, when Parent finally brought the matter to their attention, CHS director Dutra investigated the matter and the District was satisfied that no improper or illegal sexual conduct had occurred. 73. In addition to the lack of evidence, Parent’s claim about the 2010 incident lacks credibility for other reasons. Parent filed two due process complaints with OAH in 2011, had a hearing in October 2011 before an ALJ, and did not complain about any inappropriate instruction or services at CHS when he had the opportunity. The incident itself is well beyond the applicable two-year statute of limitations. Parent’s failure to mention the incident until the spring of 2012, when he used the information to bolster his reasons to remove Student from CHS, contradicts his assertions as to the gravity of what occurred or whether he really believed that Student had been subjected to improper sexual conduct. Parent allowed Student to remain at CHS until mid-May 2012 and did not report the incident to the police or call for the girl’s arrest. Reasonable inferences from the evidence support a finding that Student had a crush on the girl, was infatuated with her, and was upset when she was removed from the class. Ms. Romena acted responsibly to terminate any continued distraction or fixation by removing the girl from the class. This incident is remote in time, was handled responsibly, and does not establish that CHS is presently an unsafe learning environment. 74. In a second incident in January 2012, Parent claims Ms. Romena was in the boys restroom at CHS with Student. On cross-examination, however, Parent admitted to inconsistencies in his testimony compared to the description he wrote in an email dated January 27, 2012, to Mr. Goatcher. There, Parent stated that Ms. Romena was at the restroom door instructing Student to enter when Parent arrived. In addition, Parent stated Student did not go into the restroom until the teacher had exited. Ms. Romena provided sensible and credible testimony on this point. She explained that it is a strict CHS procedure to require restrooms to be searched before and after use by a pupil. This policy avoids accusations as to whether any pupil placed graffiti or otherwise defaced the facility. Ms. Romena was persuasive that this is the procedure she was following when Parent arrived, and that she was not in the restroom with Student. Parent’s conclusion that Ms. Romena’s conduct was less than professional with Student is unsupported and unfounded. 75. Parent claimed that, in a third incident in May 2012, Student’s male aide engaged in illegal or improper sexual conduct with Student. Parent came to this conclusion because the aide informed Parent that he liked Student, but Parent did not appreciate the aide’s tone of voice or demeanor; Student reported he was uncomfortable with the aide in the restroom; and because Parent later found drawings of male genitalia. Parent’s unfounded speculation does not support a claim that the school is unsafe. 76. Finally, as a fourth incident that occurred in May or June 2012, Parent took Student to a high school graduation ceremony and dance at CHS and claims he observed what he concluded were non-CHS “individuals” who attended “dressed in drag.” District witnesses who testified and attended that ceremony did not recall seeing any such persons. Even if it occurred, Student did not establish any credible evidence of a safety danger arising out of this event. Parent did not establish that the event bore any rational relationship to Student’s safety or welfare during the school day at CHS. 77. None of the above incidents, taken separately or together, support a finding that CHS is an unsafe campus or presents an unsafe learning environment for Student. Accordingly, the District’s placement offer of May 2013 is not procedurally or substantively flawed on this ground. 78. The May 2013 IEP, specifically identifies “Children’s Home of Stockton” as the NPS placement offered by the District. 79. Student’s significant unique needs should drive the IEP team’s placement decision and did so in this case. As found above, the evidence established that Student requires an NPS placement at a school that provides a highly structured learning environment capable of working with Student’s intensive academic, behavioral and communication needs. CHS meets that criteria. 80. Ms. Romena was persuasive in her testimony at hearing that CHS is presently capable of implementing Student’s IEP and is an appropriate placement to address his intensive needs. The weight of the evidence established that during Student’s prior attendance at the CHS NPS, Student made progress both academically and behaviorally, the school successfully implemented Student’s BSP and he experienced significant progress in reducing his negative behaviors. Student contends that he made little or no progress. 81. As found above, Dr. Browning’s February and March 2012 social and emotional assessment determined that, while Student did not meet the criteria for an Emotional Disturbance disability, he exhibited complex anger and frustration problems that reflected his learning disabilities, ADHD, and conduct problems. Mr. Varosh, from the Options NPS and Student’s most recent teacher, was credible and astute in his observation that much of Student’s behavioral problems in school as of February 2013 arise from his lack of adequate communication skills in social interactions with others. 82. Ms. Romena was convincing that Student left her class in May 2012 having made both academic and behavioral progress. When she first taught Student in 2010, he was either shy and quiet or explosive, sensitive to his peers, and was struggling with preacademic work. By the time he left, Student’s personality had “blossomed,” and he had increased verbal skills, had made friends, had made academic progress, especially in math, and had begun to learn to read. Ms. Romena is aware that Student has made more significant academic progress since his attendance at Options. Ms. Romena was persuasive that she would have expected Student to do as well had he remained at CHS because the reduction in his negative behaviors, and his physical and emotional growth, convinced her he was ready to advance more academically. 83. Parent has long been concerned with Student’s delays in the area of reading and voiced concerns at the March 28, 2012 IEP team meeting with CHS and the District about Student’s slow progress in learning the alphabet, to decode words and to achieve comprehension. Parent wanted to remove Student from CHS because he was “not sure current placement can take [Student] to the next level behaviorally & has concerns about his reading level.” In that meeting, Ms. Romena acknowledged Student’s academics were low but said Student had retention problems and “growth has been noted.” Student’s triennial assessment established that he has significant developmental delays. Parent established that he agreed to the placement at Options in May 2012, in large part because Options had a supplemental reading program, Barton, and Parent believed it could make a difference for Student. Even so, Parent again complained about Student’s limited reading skills at the February 2013 IEP meeting at Options. The fact that CHS does not use the Barton reading program does not defeat the placement. Ms. Romena testified that CHS now has two supplemental programs in reading and math for pupils with specific learning disabilities, the Pierson Reading Street, and the Destination Learning and that both would be available to Student. Finally, CHS would provide Student’s speech and language therapy services as set forth in his IEP, including social interactions with peers and staff. 84. CHS also provides a small, structured classroom setting in which Student’s offered goals may be implemented. Student’s contention that CHS cannot be found to be a FAPE placement because it cannot provide services to implement Student’s annual goals in the May 2013 IEP is not supported by any evidence other than Parent’s conclusory testimony. In contrast, Ms. Romena reviewed the offered goals and was confident they could be implemented. On this point, Ms. Romena’s testimony was more credible than Parent’s because she worked with Student each school day for about two and a half years, implemented his prior goals, and assessed his prior progress. District’s offered goals for math, reading decoding, reading comprehension, receptive and expressive language, and behaviors are goals that Ms. Romena is familiar with and fully capable of implementing. In contrast, Parent downplayed any progress Student had made during his years at CHS and was particularly critical of Student’s low reading ability. While it is true that Student achieved marked academic progress at Options, Ms. Romena offered a rational explanation for his recent progress. Student did not present any professional or expert testimony on this point. Finally, even if Options would be a better placement for Student because his academic growth finally started to show better improvement there, the District is not obligated to offer the best school to Student, but is required to offer him a FAPE. Ironically, Parent removed Student from Options in February of this year. Based on the foregoing, District’s offer of placement at CHS constituted a FAPE because it was reasonably calculated to provide some educational benefit. In addition, District established that placement at CHS is in the LRE for Student because an NPS placement such as CHS, with a highly structured program and language and behavioral supports integrated into the curriculum throughout the day, is the least restrictive setting in which Student may access his education. Issue 1(a). Did the District deny Student a FAPE beginning on February 27, 2013 by failing to enroll Student in a home-hospital, home schooling, and/or independent study program? 11. As set forth in Factual Findings 10 through 13, and Legal Conclusions 1 through 10, Parent at no time presented the District or Options with a medical report from Student’s treating physician containing the requisite information regarding a diagnosed condition along with a projected date for return to school. Parent did not present any evidence that Student qualified for a home study program under the home-hospital placement provisions. Therefore the District did not deny him a FAPE by not offering or providing him the program. 13. As set forth in Factual Findings 14 through 24, and Legal Conclusions 1 through 10, the evidence established that Student requires an educational setting at an NPS to obtain benefit and address his unique needs. The testimony of Dr. Browning, Mr. Varosh, and Ms. Peters established that Student would not be able to benefit from an independent study program in which he was required to be self-directed, perform independently in a isolated home setting, and only see a supervising teacher once a week. Rather, Student needed assistance to read and complete assignments, a full time one-to-one aide, and supervision to monitor appropriate conduct, including frequent rewards to reinforce on task behaviors and appropriate interactions with peers and adults. Student’s behavioral needs included anger, aggression, impulsivity, and inability to focus or comply. As of February 2013, Student needed multiple instructional strategies on a daily basis. Given the intense nature of Student’s needs, Parent’s claim that Student could successfully participate in an independent study program was not supported by the evidence. In any event, Student’s IEP teams in February and May 2013, including Parent, did not offer an independent study program because they believed he required placement at an NPS. Therefore, Student did not sustain his burden to show that the District denied him a FAPE by not offering or providing an independent study program. 15. As set forth in Factual Findings 25 and 26, and Legal Conclusions 1 through 10, Student did not sustain his burden of proof to establish that the District was required to offer or provide him a home schooling program because it is not a special education placement option on the continuum of options required to be maintained by the SELPA. Instead, it is a parental choice whether a parent or legal guardian elects to file an affidavit with the State to qualify as an exempt private home school. Here, while Parent indicated he had purchased some books and instructed Student in the home, he continued to ask the District to locate an NPS placement and never elected to remove Student from public instruction. Accordingly, District did not deny him a FAPE on this basis. Issue 1(b). Did the District deny Student a FAPE beginning on February 27, 2013 by failing to educationally place Student in the LRE? 17. As set forth in Factual Findings 27 through 30, and Legal Conclusions 1 through 6, and 16, Student’s amended complaint and the evidence he presented at hearing demonstrate that his problems do not involve any of the legal factors relating to the LRE requirements between February 27, and May 3, 2013. Student does not contend either that he should have been offered placement on a comprehensive District campus in either a general education or special day class, or that District’s offers for NPS or private school placement should have offered him more mainstreaming opportunities with typically developing peers. As determined above, the overwhelming weight of the evidence established that an NPS placement in a setting with intensive academic and behavioral services and supports was the least restrictive setting in which Student may obtain educational benefit. Therefore, Student did not establish that the District denied him a FAPE by failing to offer a placement in the LRE. Issue 1(c). Did the District deny Student a FAPE beginning on February 27, 2013, by denying Student access to specialized instruction and related services? 20. As set forth in Factual Findings 1 through 9, and 31 through 46, and Legal Conclusions 1 through 6, 18, and 19, Student did not establish that the District denied him access to his specialized instruction and related services because the District had an appropriate IEP in place for him, attempted to schedule IEP team meetings, cooperated with Parent to search for alternative placements, and offered Student an interim placement at CHS pending an IEP team meeting. First, after Parent withdrew Student from Options on February 27, 2013, Student still had an operative annual IEP because Parent consented to the February 15, 2013 IEP and it was to be in effect until February 15, 2014, or until the District offered a superseding IEP. The evidence established that Options remained available to Student and there was an opening for him through at least half of April 2013, but Parent did not return Student to Options. Moreover, the program at Options provided Student access to specialized academic instruction and related services that delivered educational benefit to Student. The data Mr. Varosh presented to the IEP team and at hearing showed Student’s marked progress academically and functionally and was uncontroverted. Student did not meet his burden to establish that his criticisms and problems with Options were sufficient to warrant a finding that the IEP placement at Options denied Student access to his education. The February 2013 IEP was reasonably calculated to offer Student educational benefit based on his levels of academic and functional performance and did not deny him a FAPE. 21. Between February 27, 2013, and the IEP team meeting held on May 3, 2013, the evidence established that the District made continual and documented efforts to work with Parent and obtain his cooperation to return to Options or to schedule an IEP team meeting, and to cooperate with his requests to locate another NPS or private school placement that met the legal standards. Parent’s claims that the District gave him permission to remove Student from Options and told him that he did not need an IEP team meeting to select another placement were not credible and Ms. Peters’ testimony to the contrary was consistent with both the District’s written communications to Parent and the law. Parent finally agreed to an IEP team meeting scheduled for April 19, 2013, it had to be rescheduled for May 3, 2013, to accommodate Ms. Littlejohn’s schedule. In the meanwhile, the District sent applications to several NPS’s at Parent’s request and determined that other schools he requested were either private religious schools or did not offer specialized instruction to pupils with disabilities. While the District could have formally noticed more IEP team meeting dates prior to May 3, 2013, rather than seeking informal agreement, Parent’s lack of cooperation to attend an IEP team meeting obstructed their efforts. On April 3, 2013, just about 35 days after Student’s removal from school, the District offered him an interim placement at CHS pending an IEP team meeting. Parent declined the offer and cannot now complain that the District denied Student access to his education on this basis. Based on the foregoing, Student therefore did not establish that the District denied him access to his education. Issue 1(d). Did the District deny Student a FAPE beginning on February 27, 2013 by failing to implement the goals and objectives in his February 2013 IEP? 23. As set forth in Factual Findings 1 through 9, and 47 through 52, and Legal Conclusions 1 through 6, and 22, Student’s annual goals in his IEP dated February 15, 2013, were designed to meet his unique needs related to his academic delays in reading, writing, and math; his receptive and expressive language deficits, including pragmatics; and his negative behaviors. Most of the goals were designed to be implemented in the school setting and their implementation was integrated into Student’s school day by his teacher, Mr. Varosh and the Options staff. The goals generally dealt with Student’s interactions with peers and staff and required monitoring by staff. In addition to the ineffectiveness of any attempt to implement the goals in Student’s home, this Decision has determined that the District was not obligated to send his IEP instruction and services into his home under either an independent study or home schooling program. Since the annual goals were part of Student’s IEP, and Parent removed Student from the school setting, the District did not deny him a FAPE by failing to implement them. Issue 2. Did the District’s May 3, 2013 IEP offer of placement at CHS constitute an offer of a FAPE in the LRE? 24. As set forth in Factual Findings 1 through 9, and 53 through 84, and Legal Conclusions 1 through 6, 9, 16, and 18, the overwhelming weight of the evidence established that the offer for placement at CHS was reasonably calculated to provide Student some educational benefit. As determined above, based on his unique needs, an NPS with a highly structured learning environment capable of working with Student’s intensive academic, behavioral and communication needs was the least restrictive environment in which Student could be educated. CHS provided that very structure and Ms. Romena was persuasive that CHS had in the past and could now offer an appropriate learning environment for Student. 14 In addition, this case does not involve an issue about the appropriateness of District’s offers or provision of services for past years while Student attended CHS. 25. Student raised multiple claims that this offer denied him a procedural and substantive FAPE but did not establish that any of his concerns, separately or taken together, rendered the placement offer fatally defective. First, District was not required to present and discuss, at the May 3, 2013 IEP team meeting, the complete continuum of placement options available in the SELPA. The team members discussed a variety of options that reasonably pertained to Student’s circumstances and did not violate the law. Second, District’s May offer was a permanent placement offer to supersede Student’s February 2013 placement offer and was not invalidated as only temporary in nature. Third, Parent provided the District with his written consent to disclose Student’s personally identifiable information related to his IEP in many emails to District personnel as he repeatedly asked them to locate another NPS or private school. Mr. Goatcher contacted CHS for availability during this window of consent. Following Parent’s revocation of that consent on April 12, 2013, there is no evidence that the District exchanged any confidential information with CHS and CHS did not attend the May 2013 IEP team meeting. Fourth, Student’s assertion that CHS was an unsafe learning environment was not borne out by the evidence. Finally, Student’s claim that CHS in the past had failed to provide appropriate instruction because he made little or no progress there, especially in reading, was also not supported by the evidence. Ms. Romena was persuasive that Student had previously made some progress academically at CHS. 14 The evidence established that Student’s significant behavioral needs in his younger years at CHS adversely impacted his ability to obtain educational benefit and that his behaviors had decreased in frequency by the time Parent moved him from CHS to Options in May 2012. Finally, District met its burden of proof to establish that its May 2013 offer for placement at CHS is reasonably calculated to meet Student’s needs related to his deficits, including auditory and visual processing deficits, speech and language and pragmatic communication deficits, and marked academic delays and behavioral problems. CHS provides the staffing, aides, intensive structure and direct teaching Student requires to obtain educational benefit. Accordingly, the IEP placement offer at CHS constituted a FAPE. 28. Student did not meet his burden to establish that the District denied him a FAPE in these consolidated cases. Accordingly, Student is not entitled to any relief. 29. District met its burden to establish that the May 2013 IEP offer of placement at CHS was reasonably calculated to provide Student with educational benefit and constituted a FAPE in the LRE. Therefore, District is entitled to implement the placement offer without parental consent should Student remain enrolled in the District and continue to seek public education services. 2. District’s request for relief is granted. District may implement the offer in its May 3, 2013 IEP to educationally place Student at CHS without parental consent, should Student desire public education services from District. Education Code section 56507, subdivision (d), requires that the hearing decision indicate the extent to which each party has prevailed on each issue heard and decided. District prevailed on all issues in both consolidated cases.